All photos – Naturewatch (England). 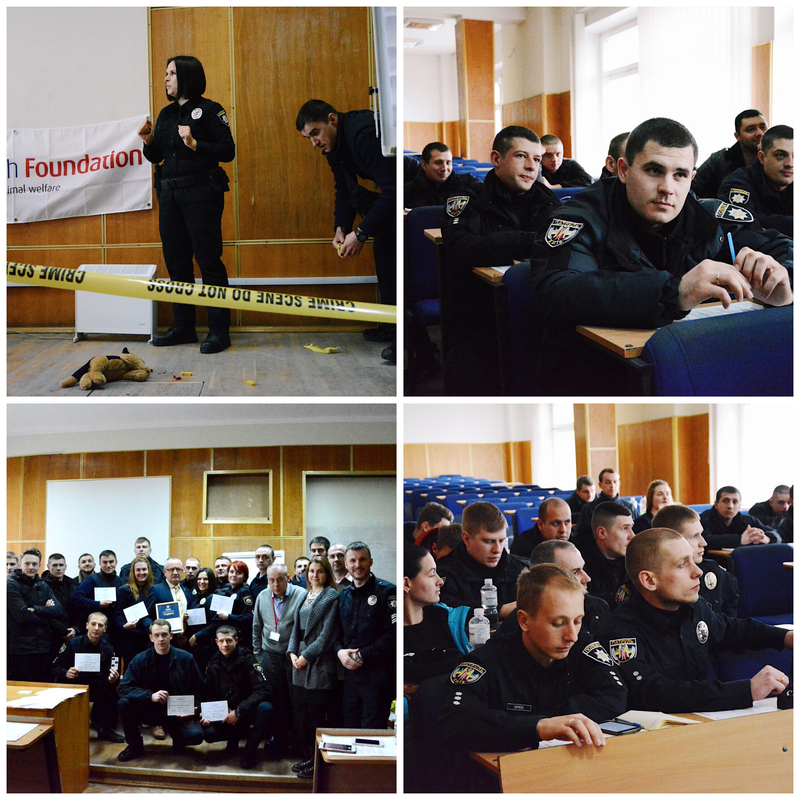 We’ve teamed up with Hidden-in-Sight to bring professional training to Ukrainian Police on how to fight animal abuse and why it’s important. Allegations of animals being poisoned, hung, beaten, shot and dropped from multi-storey buildings flood social media sites in Ukraine. Dog fighting is also reported to be a thriving money-making industry. There are at least 32 studies worldwide evidencing the link between animal abuse and human violence. We’re therefore training police how to recognise cases of animal abuse, not as isolated incidents, but as possible signs of other serious violent crimes. Our project aims to reduce victims of animal crime and bring suspected offenders to justice. For the first time ever, police in Kyiv are receiving training on how to fight crimes against animals and the alarming connections between the abuse of children, vulnerable adults and animals.